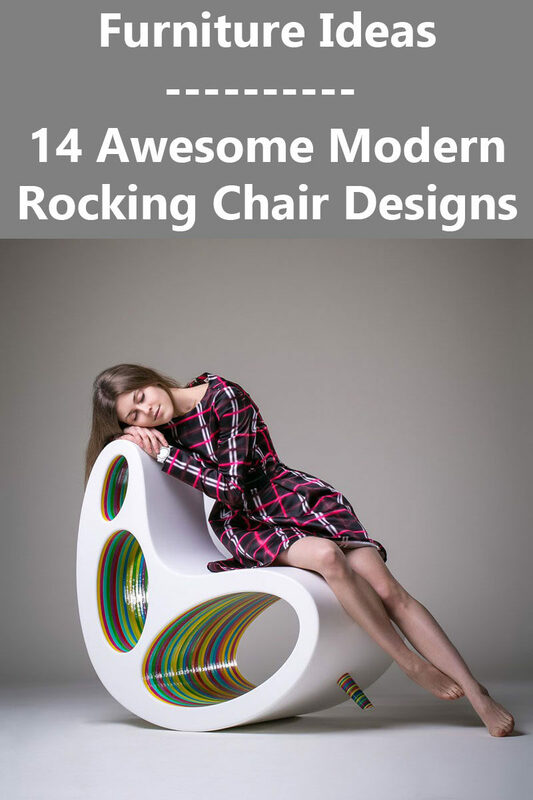 It’s time to forget all the standard and conventional rocking chairs you’ve ever seen, because here are 14 examples of creative designs for modern rocking chairs. 1. 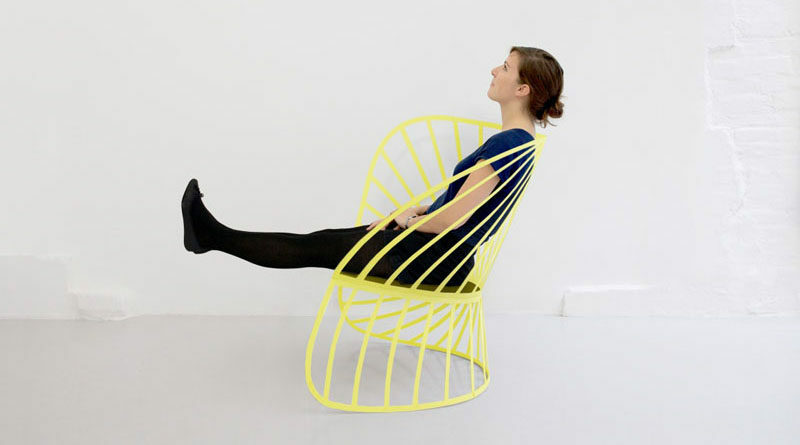 The seat of this modern rocking chair is suspended between the wire mesh that makes up the sides of chair. See more photos of this chair, here. Designed by Brendan Gallagher. 2. 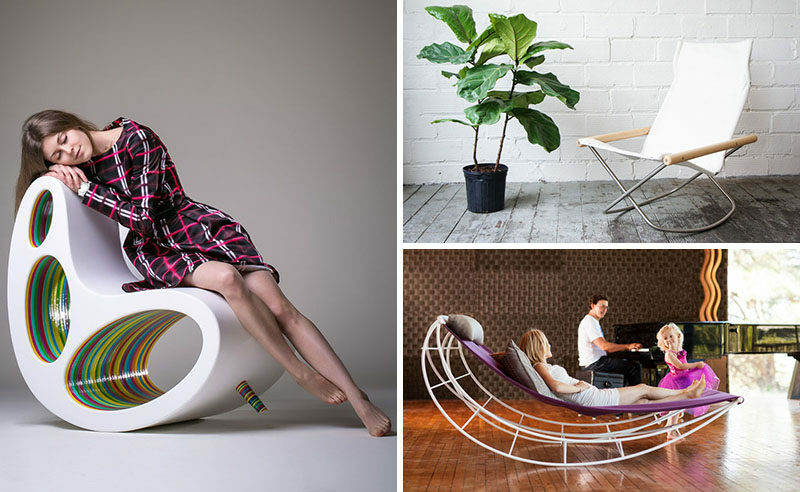 This lounge rocking chair lets you properly sprawl out while gently rocking you back and forth. See more photos of this chair, here. Designed by Jules and Jason Henry of SVEGLIO. Photography by Michelle Magdalena Maddox. 3. 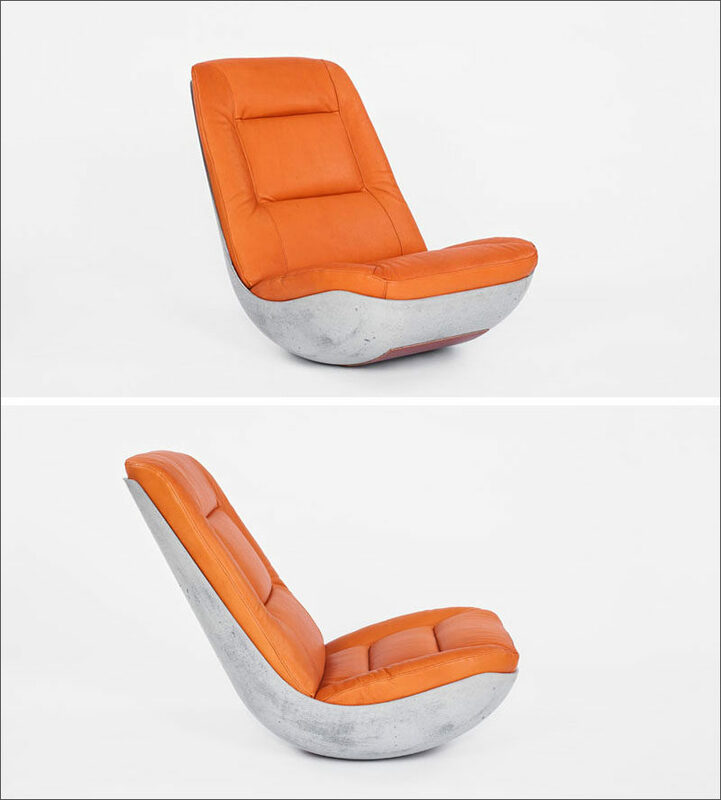 The bottom of this concrete and leather chair is rounded just enough to create a soft rock when you sit in it. See more photos of this chair, here. Designed by PAULSBERG. 4. 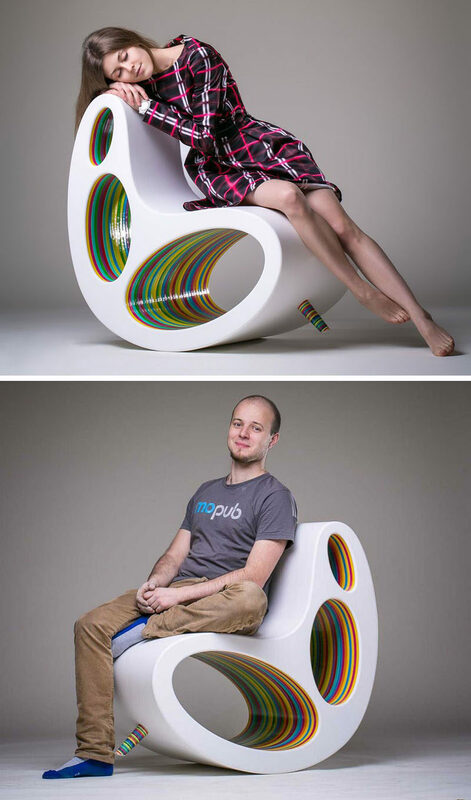 Colorfully painted wood can be seen through the holes in the body of this rocking chair, and on the front peg that can be removed for more intense rocking. See more photos of this chair, here. Designed by Alex Petunin for saaranha&vasconcelos. Manufactured by ArtTech. Photography by John Daniels. 5. 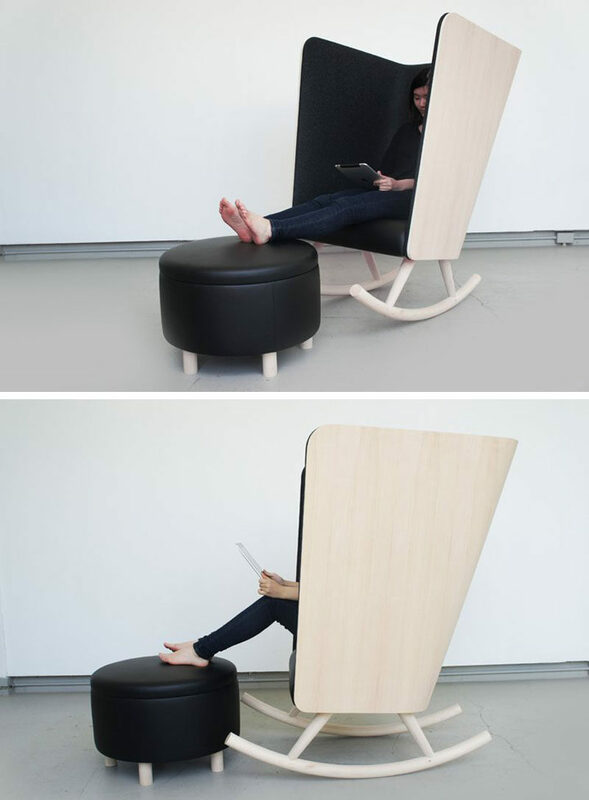 The super high sides and back of this rocking chair and the felt around it create a temporary escape from the rest of the world. See more photos of this chair, here. Designed by Kyle Fleet. 6. 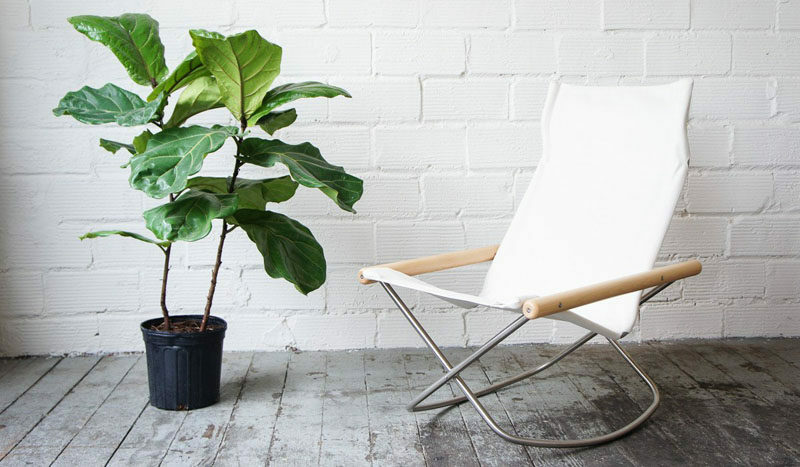 The minimal design of this modern rocking chair makes it the perfect addition to any reading corner. See more photos of this chair, here. Designed by Constance Guisset. 7. 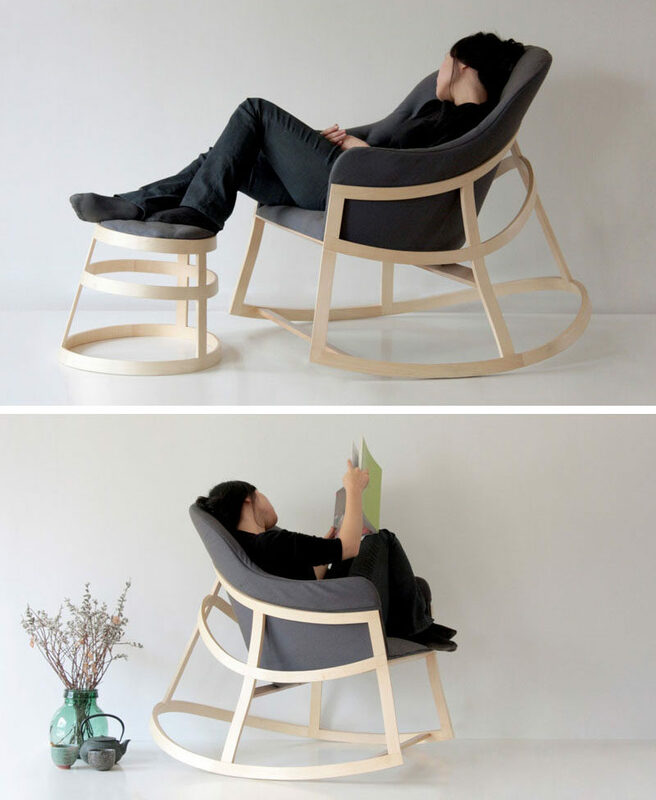 This rocking chair folds up to easily be stored away or moved from one place to another. 8. The open sides and floating seat of this rocking chair give it a modern feel while the dark wood makes it warm and inviting. 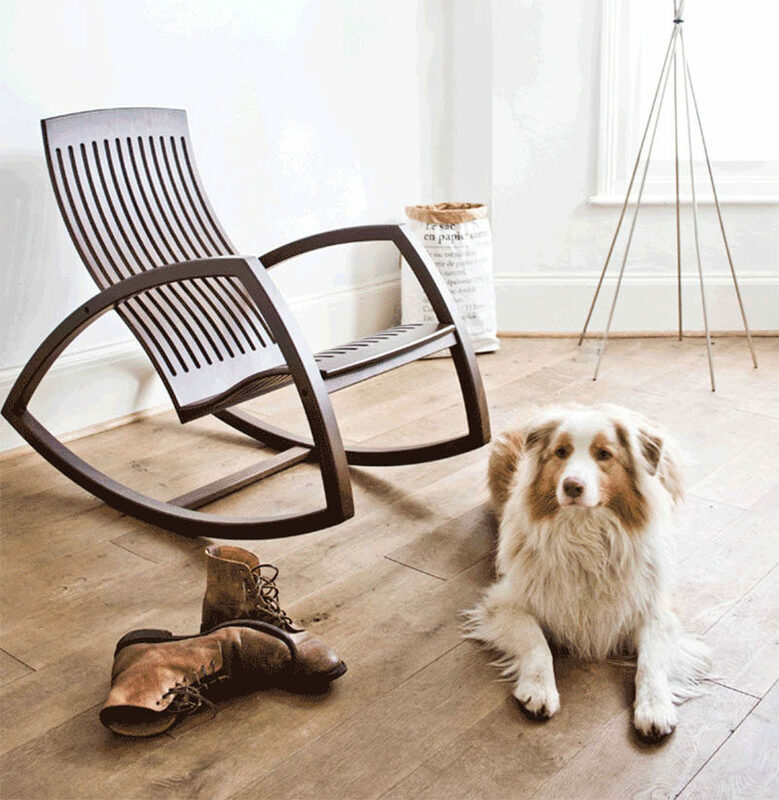 Gaivota Rocking chair by Objekto for Bodie and Fou. 9. 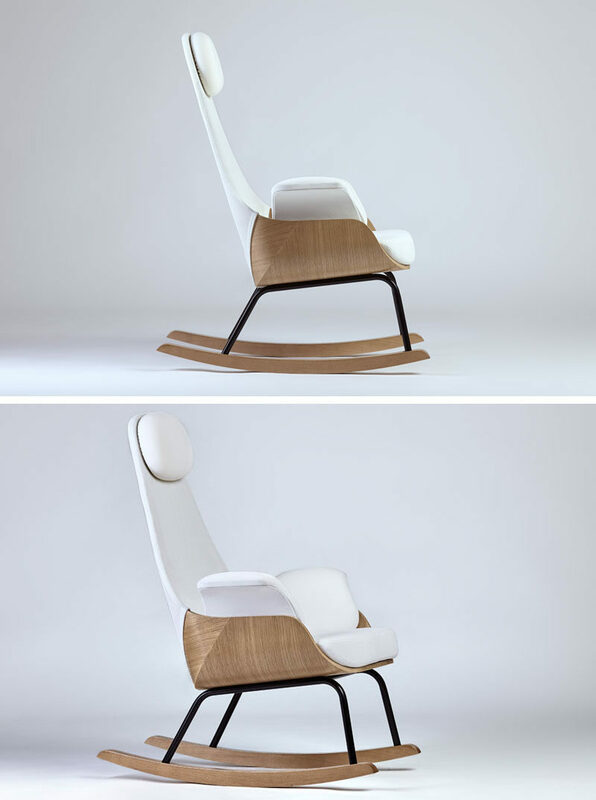 The polypropylene body of this rocking chair can be warmed up by a soft lambskin and comfortable neck pillow. 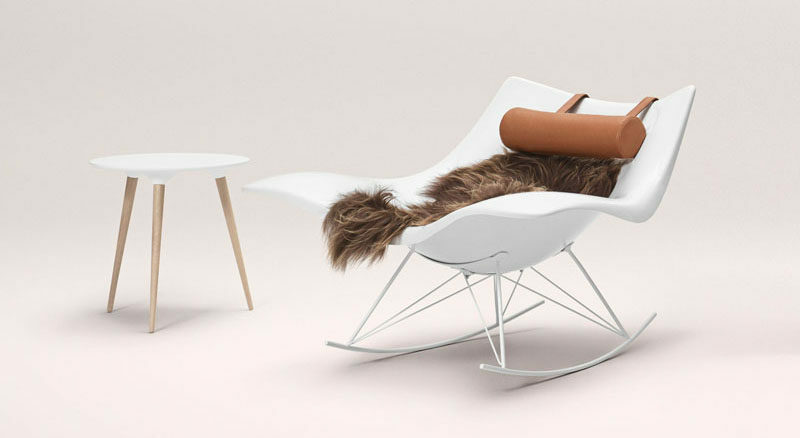 Stingray Rocking Chair designed by Thomas Pedersen for Fredericia. 10. The tall back on this rocking chair gives it plenty of support and makes it great in a nursery. 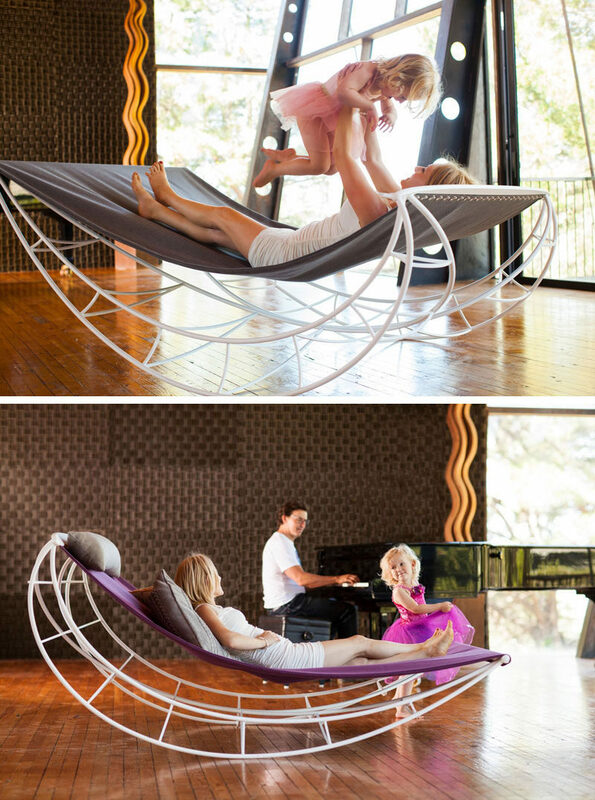 Nana Rocking Chair by Alegre Design. 11. 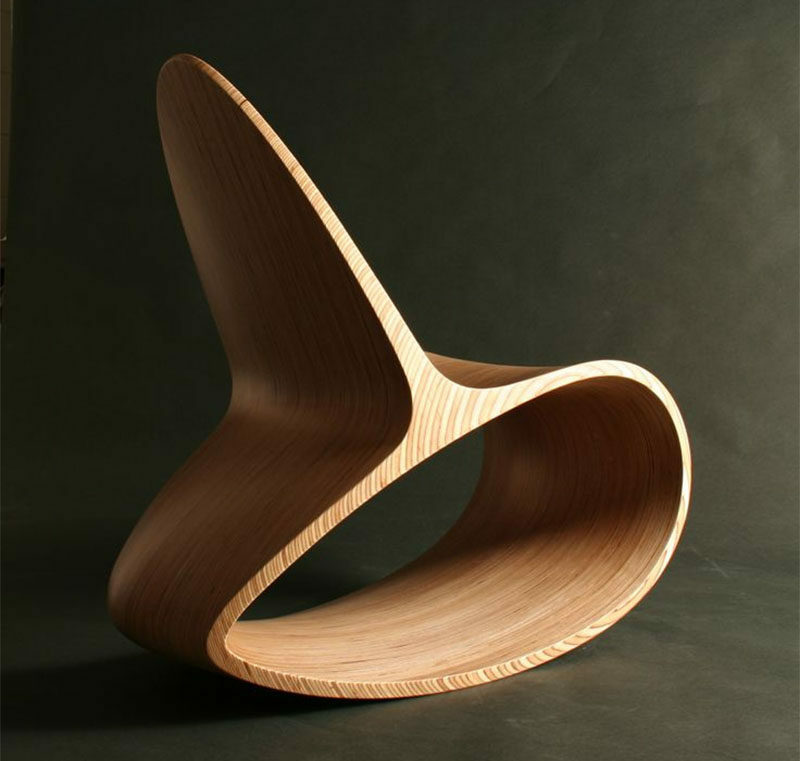 This sculptural wood rocking chair is both a stylish seating solution and a piece of modern artwork. 12. 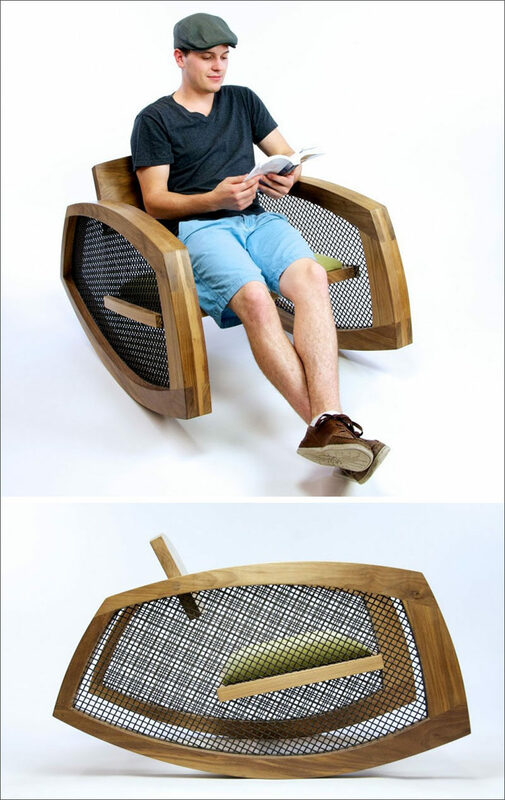 This armless rocking chair with a wood base and an extra wide seat lets you really relax in style. 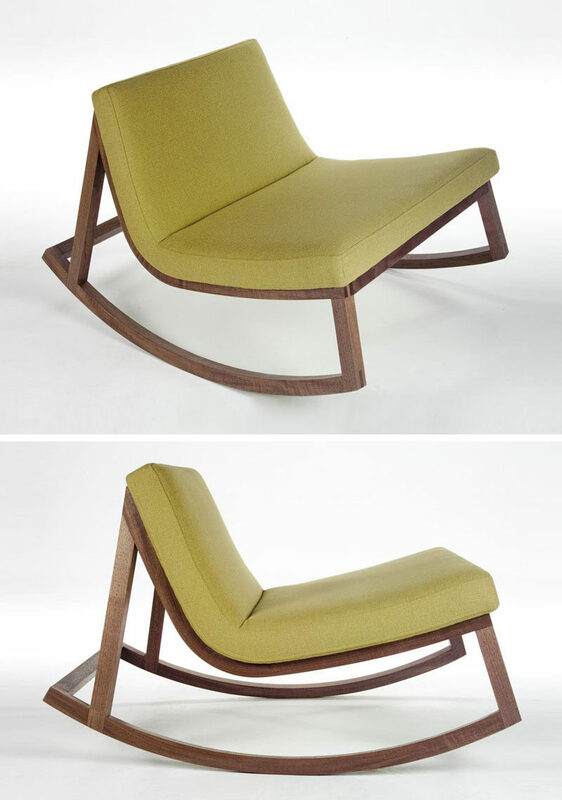 Camila Rocker designed by Matthew Kroeker. 13. 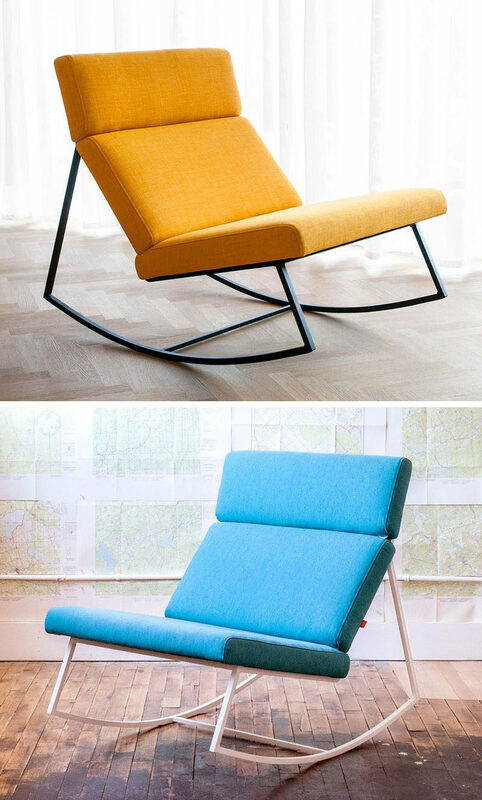 These rocking chairs come in fun colors to create more modern look to fit into any contemporary home. 14. This slightly uneven chair gives it the ability to rock softly back and forth. See more photos of this chair, here. Designed by Constance Guisset for Molteni&C.